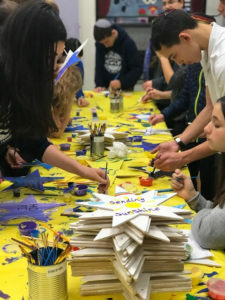 BCHA students craft Stars of Hope messages of comfort and support to send to the Pittsburgh Jewish community. There are art projects and there are art projects. And then there are Stars of Hope. 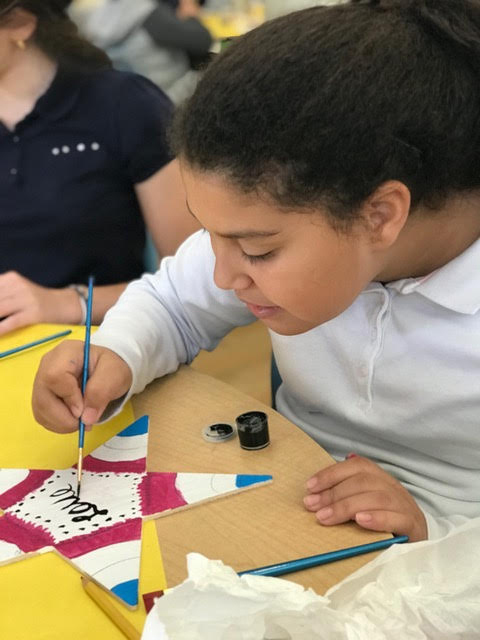 And, on Monday, Oct. 29, it was the creation of Stars of Hope that students at Stamford’s Bi-Cultural Hebrew Academy (BCHA) engaged in, as they painted wooden “stars” filled with heartfelt messages of kindness and understanding. The stars were then sent to members of Pittsburgh’s Jewish community to help comfort those grieving the senseless loss of 11 of their friends and family, massacred on Shabbat, Oct. 27 in a horrific act of antisemitic violence at Tree of Life Synagogue in Squirrel Hill. 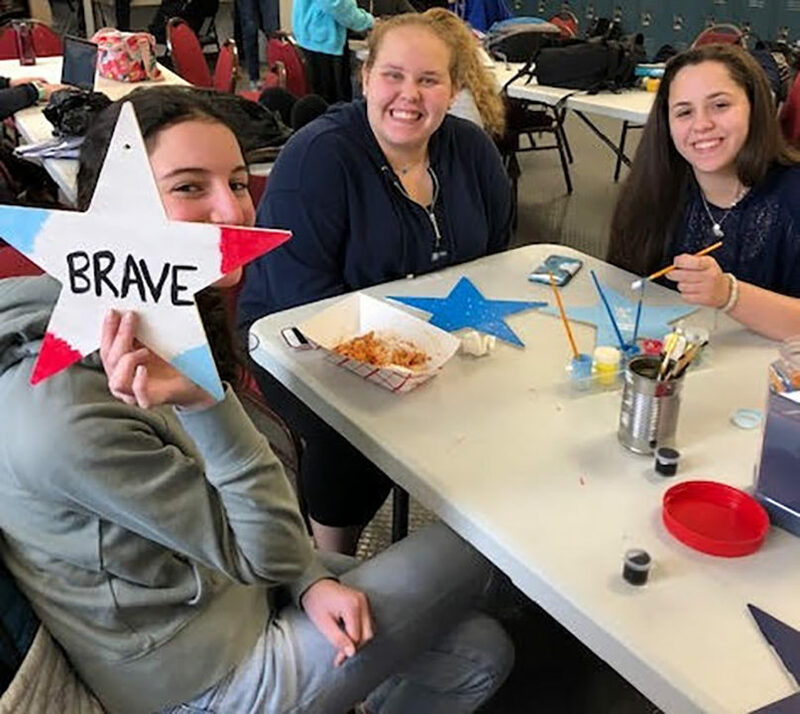 Bi-Cultural students were first introduced to Stars of Hope in February 2018, following the senseless shooting at Stoneman Douglas High School in Parkland, Florida that left 17 dead. The Stamford students were so moved by their grieving peers that they resolved to bring a ray of light into the lives of the victims and their families. Working hard on her Star of Hope is BCHA fifth-grader Tzipporah Deutsch. And so they did when, a day after the horrific incident, the school’s student council contacted Stars of Hope, an organization that empowers children to bring hope to those in need through the messages of healing. With kits provided by Stars of Hope, the students painted inspirational words and works of art on wooden stars, which were then sent to the Parkland students. Both the Parkland and BCHA students were so uplifted by that seemingly small act of “tikkun olam” that this year BCHA became the first school in the country to form an official Stars of Hope Club. And so, two days after the Tree of Life tragedy, students in both the BCHA upper and lower schools – pre-K through grade 12 – found themselves at it again. Some also sent personal letters of condolence to those grieving. The project was preceded by discussions led by Head of School Jacqueline Herman, who put the tragedy in context for children at different grade levels. Mrs. Herman’s age-appropriate talks touched on subjects such as tolerance and freedom of religion. Going forward, Mrs. Herman said she has been working diligently with the Stamford Police Department to secure the school’s two campuses. She also made available the school’s psychologist and social worker, for those who may need them.